Ok ok ok!!!! I will update! 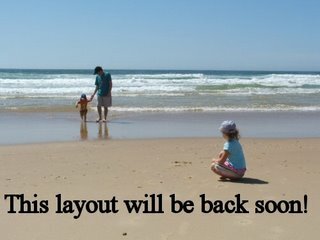 Thank goodness the illness that gripped our family in the previous post didnt last for long! I dont think I could have handled any more whinging!!! So happy little campers here! Well I was chosen to be on the design team for Memory Bugs again. I am very happy about this! Especially since I now get to work with Carole Janson and Mardi Winen and Yvette Adams and Jolene Pienaar! Such wonderfully talented ladies!!! So if I ever own a scrapping store I am NOT going to have a DT - the decision would be too hard!!! Still been running. Not as much as I want/should be doing but I am getting into my groove again so its all good. I have a photo of me running here. Moi, you shall be seeing me very shortly and for that I am so very excited!!! Nothing much else to speak of really. Life around this neck of the woods dont change much. So I shall leave it here with a recent (well couple of weeks old) layout that I love. West Met meet last saturday was bittersweet. I had a 4km race. The first 2kms I felt great! Really strong and went through in 10.07mins. Then it started. I started cramping on both sides of my torso. Although it felt muscular as opposed to a stitch. So I bought the 2nd half in 11.24mins. Very dissapointed but I know I would have run really well if it werent for the cramping. Went for a run tonight. Decided before I went out there that I am going to focus on distance, not time. So I just wanted to take it easy and not even look at my watch until I returned. Well, it worked! I havent enjoyed a run so much in like 6 weeks! I did 12kms in 1h16mins and I enjoyed every minute of it! I am so motivated now to do the distance and not worry about the time! I cant wait until tomorrow to go for another run! I feel like I have made a motivation breakthough! YAY! 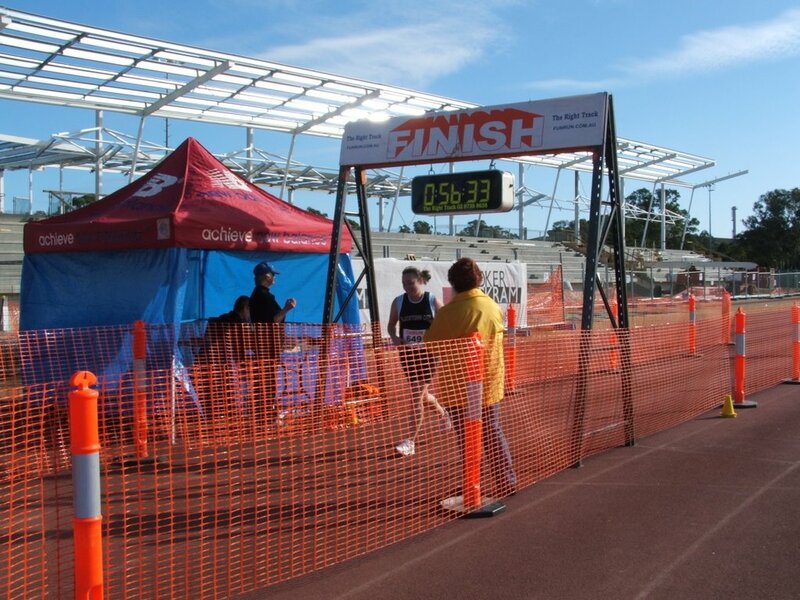 Blacktown City Fun Run 10km. 5. Run 10km in under 60mins...... CHECK! My watch said 56.24mins! It was such a beautiful day for a run too. It wasnt too cold, only my toes felt a little numb for the first half, but arms and legs didnt feel it at all! The course was nice and flat except for a hill, but it was only about 500m long I would say. I am thankful that my 3km block I run for training has a 1km long hill in either direction. 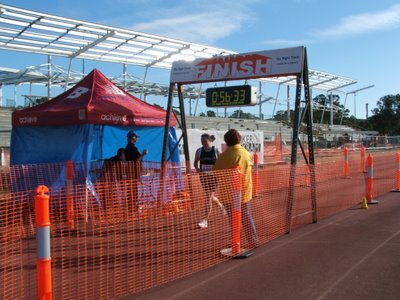 My brother in law also ran in it - he finished in 45mins, so good times for both of us! May mileage was not very good, but doing the fun run has really made me want to get out there and really focus on doing some good distances over the next couple of months leading up to C2S. I will edit later with a photo!